A partnership extended in the build up to the 2020 Tokyo Olympic Games with Eurosport is announced. 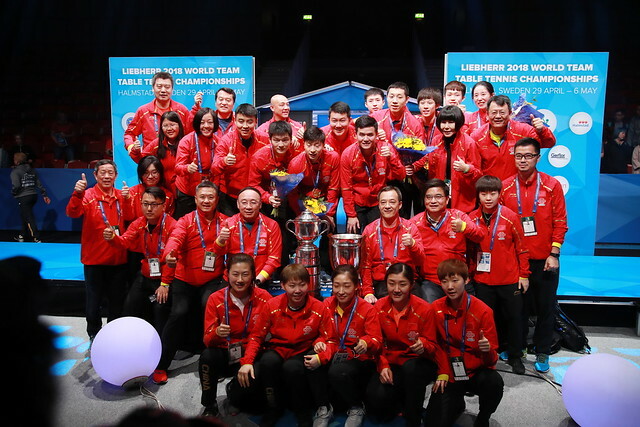 Eurosport will continue to promote the major events organised by the International Table Tennis Federation including the ITTF World Championships, ITTF Men’s and Women’s World Cups, ITTF World Tour Platinum tournaments and the ITTF World Tour Grand Finals. As part of the collaboration, a Europe wide deal which began in 2014, Eurosport will continue to promote the ITTF events and commercial partnerships in Europe. Eurosport will broadcast over 120 hours of live action, delayed coverage and highlights over the next three years across its two television channels and online at https://www.eurosport.com/as well as the Eurosport App. In addition, the agreement, which runs for the period 2018-2020, includes the following events: the ITTF European Championships, ITTF Europe Top 16, ITTF Team World Cup, ITTF World Team Championships.